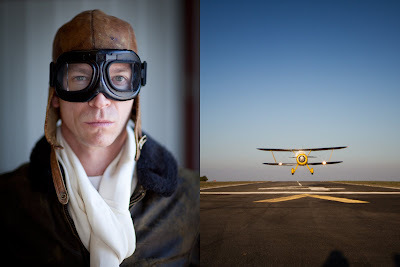 Great start to 2012, I had the honor of photographing Michael Blackstone, an incredibly talented pilot. Michael is the owner of Skythrills, a unique charter service where you can experience the fun and excitement of aerobatics and go to some very cool places. We flew to Catalina (an island off the coast of Southern California) and spent the day shooting pictures. Michael is a great guy and offers an amazing service. http://www.skythrills.com We had a lot of fun! Passionate about light and people, Michael Murphree is dedicated to capturing his subjects in a compelling and intriguing way. His collaborative working style and pre-production expertise ensure smooth shoots that allow for creative freedom and input. According to Michael, “When it comes to production, I can find a way to execute anything, regardless of time or budget constraints.” That’s the kind of work ethic and confidence that is reflected in his work. After graduating with a Bachelor of Arts in photography and getting his start in San Francisco as an assistant for many respected photographers, Michael moved to New York City to work alongside Annie Leibovitz. In 2003, he opened his own studio. Today, he splits his time between Los Angeles and New York City where he works with leading advertising agencies, major magazines and entertainment companies.